Psychiatry: it is recommended the student understand the basic of Spanish and/or Portuguese to have a better exploitation. Porto Velho is the capital and also the most populous city of the state of Rondônia, in addition to being the third largest capital in the Northern Brazil, with nearly 610.000 people. Lying on the banks of Madeira River, one of the main rivers of the Amazon, Porto Velho was legally constituted on October 2, 1914, as a municipality of the state of Amazonas and becoming the capital of the newly created Federal Territory of Guaporé in 1943, later renamed Rondônia in 1956, in honor to Marshal Cândido Rondon, a famous and influential personality in the formation of the state. However, the population began to focus on an urban nucleus about seven years earlier, with the influx of migrant workers who were attracted by the construction of the Madeira-Mamoré Railway (1907/1912). 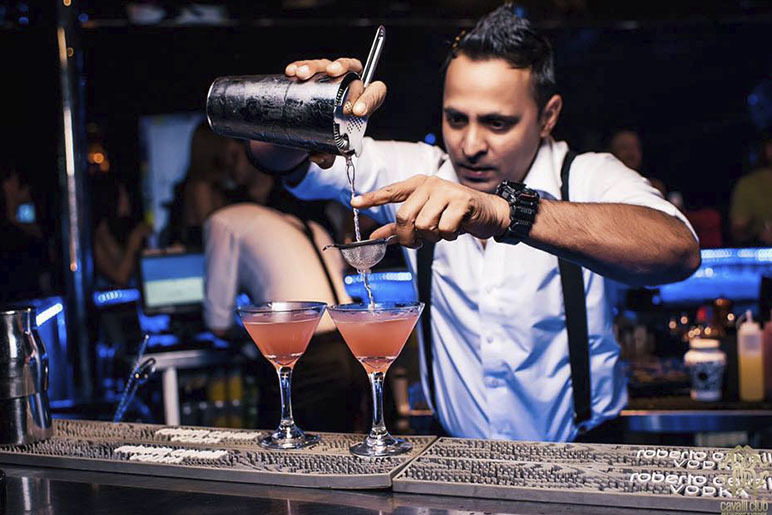 Thousands of Brazilian and foreign workers came here (about 50 nationalities), and that is why it is one of the most socially and culturally diverse cities. The Caribbeans, the Lebanese, the Spaniards, the Portuguese, the English, the Northeastern and Southern brazilian as well as the indigenous people made their contributions to form this diverse capital whose citizens can not keep intact the inevitable cultural exchanges. Porto Velho is also close to Bolívia. You can get there going to Guajará-Mirim, the city bordering Bolívia and is 333 km away from the capital. The Federal University of Rondônia was founded at July 8, 1982, right after Rondônia became officially a state. 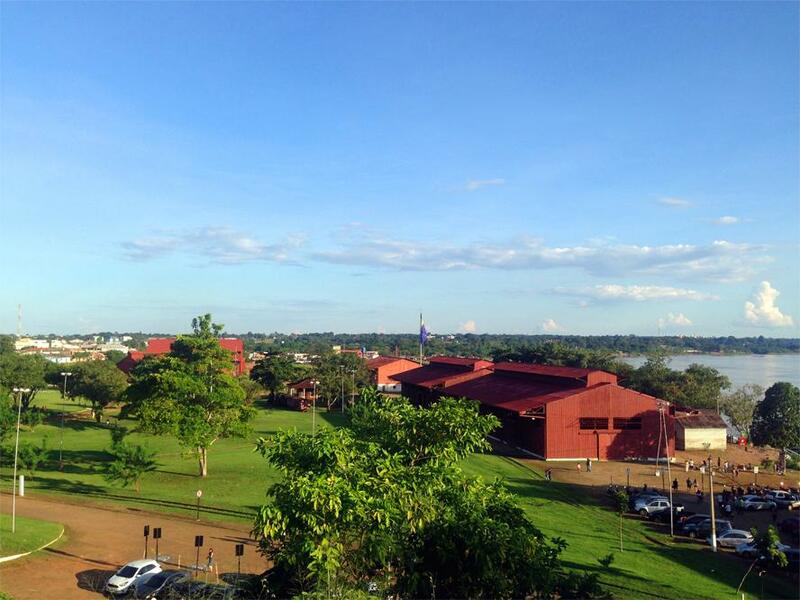 Currently is the only University and also Public University in Rondônia. It has 8 campuses throughout the state, and the Medical Course in the city of Porto Velho. 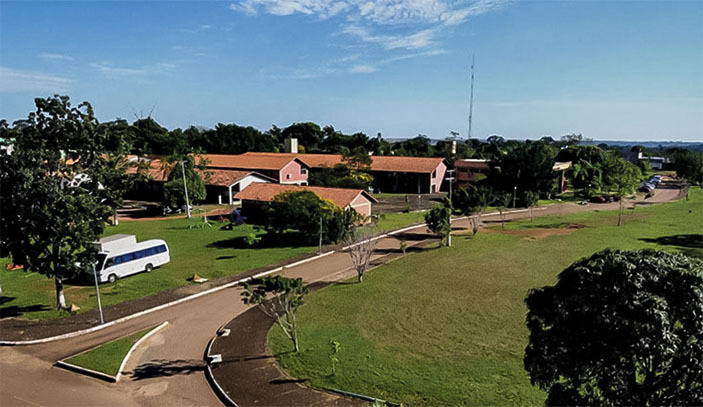 We started as the "Advanced Campus of the Federal University of Rio Grande do Sul" in Porto Velho (CA-UFRGS) on May 2, 1971. it was an extension of UFRGS and was characterized by the permanent presence of university students and teachers performing activities aimed at the development of this microregion. The work carried out in the priority areas defined by the military government sought to integrate and develop the region. The campus was part of the objectives of the called Rondon Project. On July 8, 1982, the Federal University of Rondônia Foundation (UNIR) was created through Law no. 7011, which was nested in the elevation of the Federal Territory of Rondônia. From 2008 to 2010, UNIR was considered by the Ministry of Education (MEC) as the best University of the North Region. The Medical Course began at 2001 and has 10 graduated classes (2017). Even though it is a new course, our graduates are currently at the best residency services of Brazil, being as qualified as Traditional Medical Schools students. The Ary Pinheiro Base Hospital (HBAP) was inaugurated by the late governor Jorge Teixeira on January 11, 1983. It serves patients of the Unified Health System (SUS) not only in the state of Rondônia, but also in Mato Grosso, Amazonas, Acre and even Bolivia. The hospital offers more than 590 beds, between infirmaries and ICUs; Counts on more than 1,900 direct servers, carries out on average 25 surgeries / day of average and high complexities; And maintain specialized teams in emergency and emergency surgeries such as neurosurgery, oncology, pediatrics, orthopedics, bucomaxillofacial (reconstruction of facial bones and dental extractions in people with special needs), organ transplantation center, plastic surgery in burns, parturients of High risk, vitrectomy, application of lucentis (intraocular), among others. Also, it has the only public Neonatal ICU of Rondônia. A reference hospital on Northern Brazil in the treatment of contagious diseases, the Center of Tropical Medicine of Rondônia (CEMETRON) performs more than 2,000 outpatient visits per month. Infectious diseases are serious diseases such as AIDS, bacterial and viral meningitis, tuberculosis, leptospirosis, leprosy, malaria, dengue, H1N1, bird flu, among others that require special care and highly trained personnel. We highly recommend this hospital to students who wants to learn about Tropical Diseases, as it is a Reference on this field. The Children's Hospital was built on an area of more than three thousand square meters, behind Ary Pinheiro Base Hospital. The two-story building is air-conditioned and has a network of medical gases. There are 80 beds, 12 rooms for infirmary, two insulation rooms, X-ray rooms, nebulization, emergency rooms and doctors' offices, rest areas for doctors and nurses, toys and other hospital environments. It has the only public Pediatric ICU of Rondônia. The Porto Velho Unit of the famous Hospital of Cancer of Barretos, a national reference on cancer treatment, has a 1.200 m² and has an outpatient service, clinical oncology (chemotherapy) and surgical center prepared to perform small, medium and high complexity surgeries. It started its services at 2012 due to the hogh incidence of cancer in Rondônia and it will be replaced in the future (about 2017-2018) by Hospital of Cancer of the Amazon (HCA). This clerkship is only allowed for UNIR students and, of course, for our exchange students. GAP: Molecular and classical methods applied to the identification and characterization of new active chemical compounds against malaria and leishmaniasis from biodiversity. GAP: Rational Development of Bioactive Peptides Inspired by Anuran Toxins and Snakes Useful for the Therapy of Malaria and Leishmaniasis. GAP: Rational Development of Leishmanicidal Peptides Inspired by Herpetofauna Toxins. GAP: Mutational Sensitization and Clinical Spectrum of Patients with Suspected Rare Neurodegenerative Disorders (NDs) and its Psychosocial Aspects in the Western Amazon, Brazil. The host student or family will provide at least one meal per day. These dishes are very tipical of Brazil. The Incomings are allocated in Students' Flat House, Family Houses or Republic Houses, so this way they are able to create a family bound, one of the most important goals of the Exchange Programmes. They will have their own bed or mattress, and also will be provided a bathroom that can be shared or not. The Incoming always will be given internet access. Porto Velho is served by the Governor Jorge Teixeira International Airport, dedicated to domestic flights that you can get from São Paulo, Rio de Janeiro and Brasília - the main enters to Brazil. Our city counts on a public Bus service and its lines you can consult here. Also, you can take a Taxi, a Mototaxi or an UBER. It depends on you will. And depending on where your clerkship is going to happen, our students can give you a ride. We are pleased to provide you the best Social Program! Even though we cannot go out every day during the Exams Periods, we'll always have something nice and different to do with you, because we do know you came far to have the best experience, and that is what the LC UNIR will do for you! Intermed is a typical sportive event of medical students all over Brazil, being organized by Academic Athletic Associations. Almost every state has your own version and Rondônia has one of the strongest events that exist. Held always in October, Intermed Rondônia began to count on the medical students of the Acre in its second version. It usually lasts 4 days, being 4 days of sports and "Baterias" (kind of musical group with different performances) competitions followed-up by great parties with nearly 1.500 medical students of 6 Medical Schools. 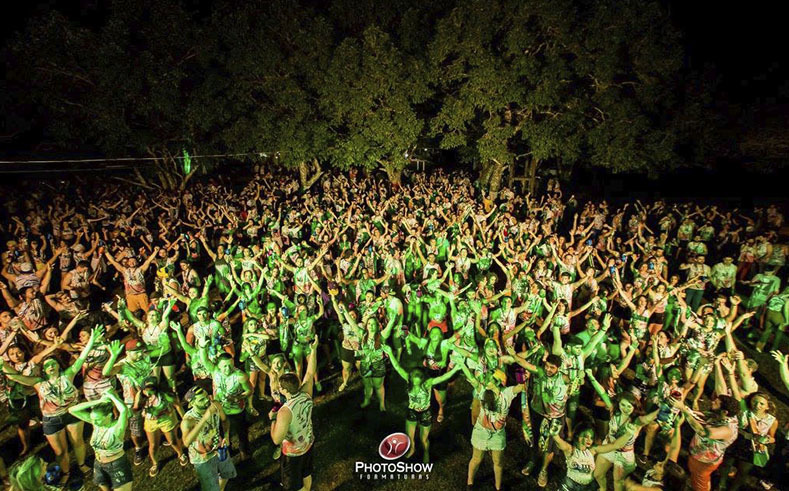 It is the most famous and unforgettable experiences during college. It is a resistance test. Arraial Flor do Maracujá is one of the most prominent events in the cultural scene of the state, organized by the State Secretary of Culture, taking place in July. Its name is borrowed from an old group of gang of the district of the Triangle, that thus denominated itself, seen the women its members, to adorn their hair with a flower of passion fruit. There are bonfires, fireworks, and folk dancing in the streets. Typical foods and beverages are served. One of the oldest pubs in Porto Velho, it is a cool place to go. 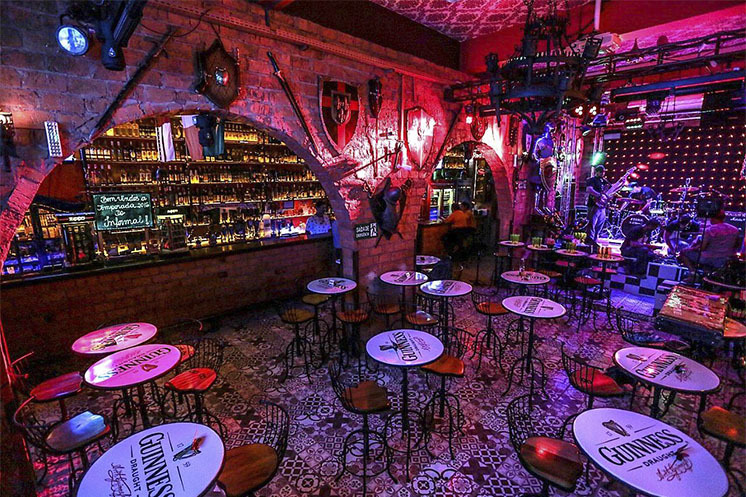 With a medieval thematic, it is the best place to go if you want to listen to rock, pop or alternative music as well as if you want a wide variety of beers and another beverages. The Informal Pub always gives place for local and regional bands to present themselves. On wednesdays, it is common to play pop music, and on saturdays you must arrive earlier because it is the most crowded day, being a well-frequented place. The Rising Sun has a bit of pub and restaurant, with british influence due to the owner's experience during his residence in europe. Home of some tasteful drinks and dishes, it is a delightful place to go and have diner or just have a good moment and do a "esquenta" (brazilian expression to drink enough before goint to a party) with your friends while you listen to some rock. Also known as "Três Marias", they were built by Chicago Brige & Iron Works on 1910 and served to supply the city with drinking water until 1957. They are the only ones of their type remaining to this day, except for the water tank at Warner Brothers Studios in Hollywood. They are also the city's symbol. The Madeira-Mamoré Railroad (EFMM) was built on the banks of the Mamoré (Bolivia) and Madeira (Brazil) Rivers between 1872 and 1907 with the aim of draining the production of rubber (in this period called White Gold) to the Atlantic Ocean . People from 40 different nationalities were involved in the work. Due to the death of approximately 6,000 workers during its construction due to the still unknown Tropical Diseases (mainly Malaria), it was also known as Devil's Railroad. Nowadays, the square is located where the heart of the building was. In the surrounding warehouses are the remaining Locomotives, some Railway Historical Museums and Indigenous Craft Fairs. We are really proud to have a sunset considered as one of the most beautiful in Brazil. Its orange hue sometimes mingles with gold and purple, reflecting on the mirror of the Madeira River, making a phenomenon admirable in our eyes. It is possible to contemplate the landscape of the of the Madeira-Mamoré Railroad Square or from some viewpoints of the city while you take a beer or another very cold drink to finish well your stressful day of much work. BE WELCOME TO PORTO VELHO AND FEEL YOURSELF AT HOME!